If your looking to get started quickly the InstantPURL™ is your best option. You may also want to use Use Your Domain or the Wordpress or Joomla Plugins. You'll find the new campaign button by selecting from the Campaigns dropdown. It will be at the bottom of the dropdown menu. The name can be anything you would like to describe the campaign. 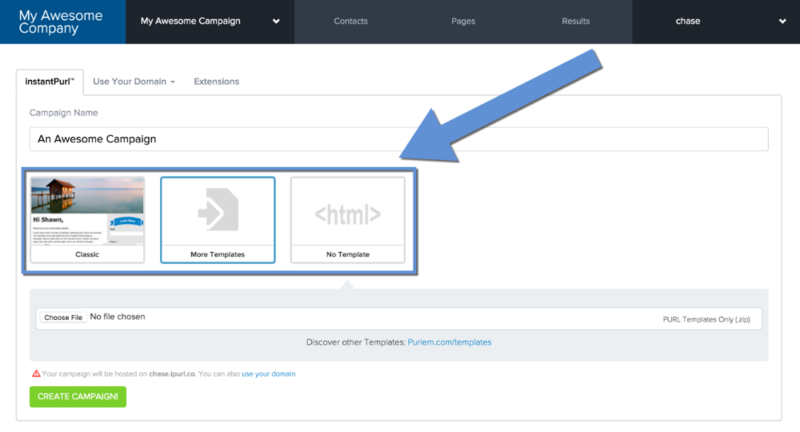 TIP: For advanced users that want to work directly with the HTML, you can choose the No Template option. 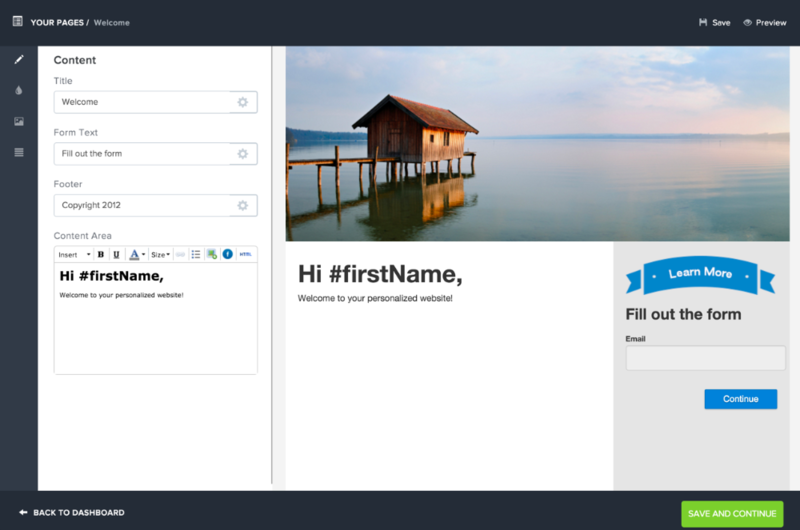 Here you can change the way your landing page looks. You can change the colors, add text, upload images, create a survey or questionnaire, and personalize the page to the visitor. Click on the Preview Page button to see your live landing page. Whenever you preview the page from the dashboard, the testing mode will be on. When your done editing the landing page, select the Save & Continue button. You may now want to Upload Multiple Contacts, Response Emails, Email Alerts, and more in the Settings Page.